What is Cardiac Stent Placement? Stents help blood flow in blocked arteries. Cardiac stent placement is an angioplasty procedure that involves inserting a stent into the heart. 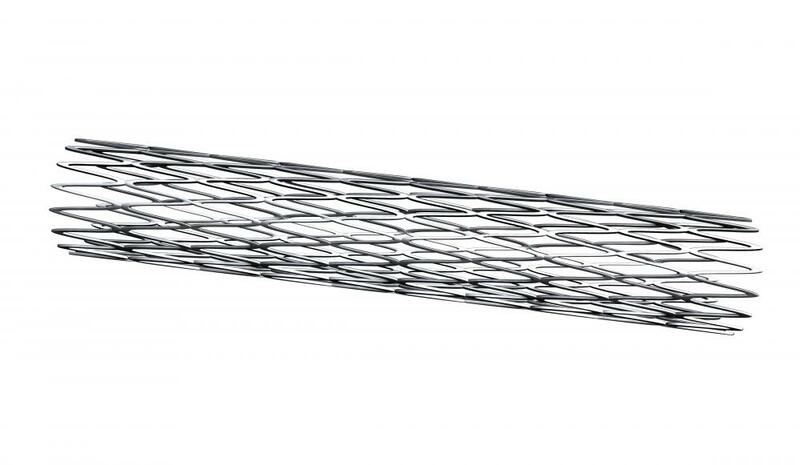 A cardiac stent is a mesh tube that is placed in a major artery of the heart. They are usually made of either metal or fabric, and some of them even release medication slowly to enhance the heart's performance. Stents are usually used to help blood flow through the heart better by propping the artery open. 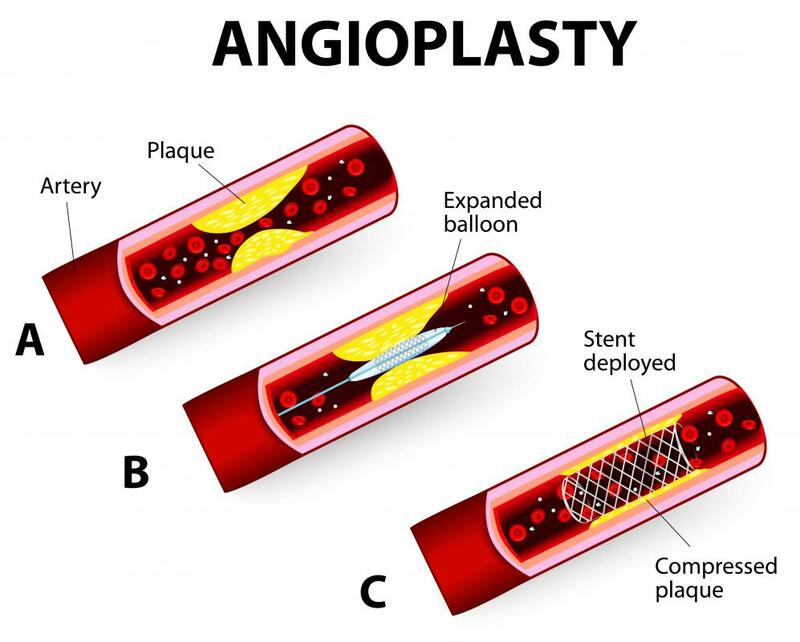 Cardiac stent placement is an angioplasty procedure that involves inserting a stent into the heart, usually via a major artery in the leg, neck, or arm. Before a cardiac stent placement procedure, the physician must first gather as much information about the damaged or blocked artery as possible, including the location and size. A patient will also be given a blood thinner to help stop the blood from clotting during the procedure. He will also have to fast for many hours prior to a cardiac stent placement. During the procedure, a patient is usually awake, and only a mild sedative and a pain killer are administered. A small incision is then made near a major artery. The femoral artery, which is located near the groin, is usually the artery of choice, but arteries in the neck or the arm are also used at times. A special dye is often injected into the patient so that the physician is able to see the network of blood vessels, veins, and arteries. A wire is then usually inserted into this major artery, and guided to the area where the stent will be placed. The wire is usually inserted using x-ray images to help navigate it through the complicated network of vessels, and it acts as a guide for the cardiac stent placement. The next step during this procedure involves running a flexible, thin tube with a balloon on the end along the wire. The stent that is to be placed in the heart is usually placed around the balloon. When it reaches its destination, the balloon is then inflated. This will cause the artery to open, as well as cause the stent to expand. As the catheter and balloon are removed, the stent will stay in place, propping open the artery. The whole procedure usually takes no more than two hours. After a cardiac stent placement procedure, the patient will usually be made to lay still for a few hours. This allows the artery to heal. A blood thinner is usually administered, along with pain medication. Vital signs, such as heart rate and blood pressure, are also closely monitored to ensure that there are no problems. Since there is typically some pain or discomfort in both the chest and incision areas after a cardiac stent placement, pain medication is usually prescribed when a patient returns home. There will also be some bruising and light bleeding around the incision sight. If any severe pain or heavy bleeding occurs, however, patients are strongly urged to seek emergency medical attention. These symptoms can be an indication of some serious side effects. What Is an Intracoronary Stent? What Can I Expect during Cardiac Stent Recovery? What is Involved in Cardiac Stent Placement? What is the Mustard Procedure? What can I Expect During Stent Placement?